Truck Accidents are often caused due to reckless driving by the truck drivers who are either fatigued or under the influence of drugs. Semi Trucks and 18 Wheelers are prone to “rollovers” and “jackknifes“, increasing the hazard for other motorists. Tractor-trailer accidents almost always result in death for the truck driver, or those in another vehicle. With the average commercial tractor trailer weighing in at about 80,000 pounds, it’s not difficult to understand why. Statistics show that automobile drivers involved in a truck accident are 80% more likely to die than in accidents involving another automobile. It is important to notify a trucking company of your claim immediately after an accident and demand that all evidence be preserved as trucking companies routinely destroy records in the normal course of business which could be material evidence of their negligence. Truck companies often have accident investigators in their panel who rush to the scene of a crash and manipulate events in such a manner that make claims for the victims and their families a painful and no-win experience. Truck accidents may be the fault of the truck driver, or the fault of the drivers of other vehicles. Truck drivers who ignore speed limits, use drugs or alcohol while driving, drive long distances with no breaks or load their trucks beyond maximum capacity are creating an accident waiting to happen. If you or your loved one has been involved in a serious truck accident and you are looking for justice from the trucking company, we would like to offer support to you and ensure that you get the compensation you deserve for the pain and suffering that you are coping with. Do not sign any document or give any typed statement to accident investigators appointed by the truck companies in the absence of your legal advisor. Truck companies perform their own investigation that could put you at the disadvantage. Thus, it is advisable to retain an attorney who can conduct a thorough investigation and pin down the liability on a potential at fault defendant. Any entity or person who was at fault can be sued. This includes the truck driver and the company as well. It is important to have an experienced truck attorney with the right legal advise to get the compensation you deserve for your pain and sufferings. Every state has its own laws and guidelines for accidents involving trucks and other commercial vehicles. Thus, either you keep yourself aware of the state laws or avail the services of an expert truck attorney who can fight your case properly and provide you the right compensation. 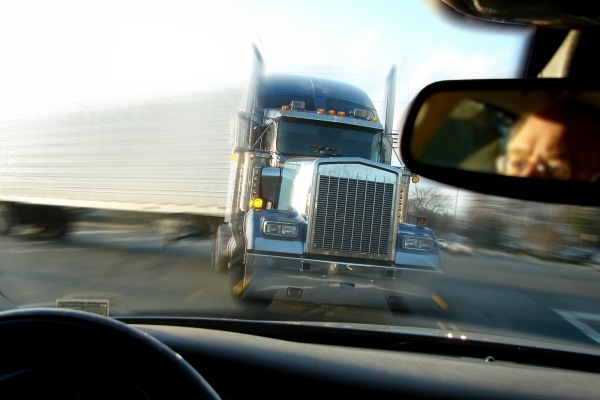 If you would like to learn more about truck accidents and how a capable Houston Truck Accident Attorney can help you with your situation, contact Semi-Truck Accident Lawyer in Houston, Bat Tucker today at 713-771-5453 to discuss your options with him.